Home / food / International / Travel and Living / Tender Coconut around the world: My findings! Of the 31 countries I have visited so far, about 16 of them had availability of tender coconut for sale. Roughly 50% success rate, you may say. Quick summary in below table, detailed notes after that. Expensive near tourist places, cheaper elsewhere. Huge in size, lots of water. Hong Kong and USA I feel I didn't search enough. It is possible that they have but I couldn't locate the right shop. Other countries- All of them in northern Europe, didn't have any availability of tender coconuts in supermarkets, malls or on the street. 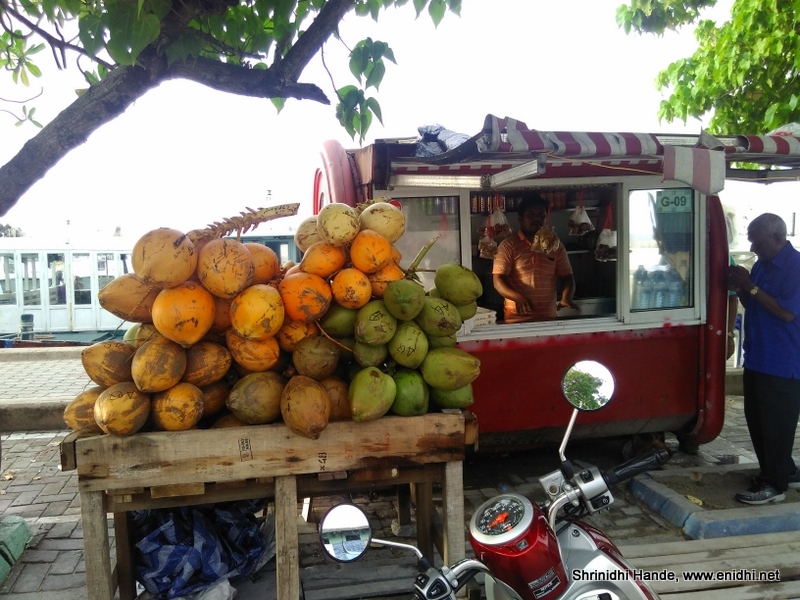 Coconut water in tetra pack/tin can was available in New Zealand and many places- but for the sake of this post, focus is on natural tender coconut, not packaged/processed one. I don't have to explain much. Tender coconut is available throughout the year in most south Indian cities, price ranges between Rs 30 to 50 in most cases. I have seen roadside vendors selling super small size coconuts for Rs 5 and 7 in Kolkata. Few vendors in Pondy were selling decent size one for Rs 15. Cheaper in Karnataka but expensive in Kerala and Tamil Nadu. Now tender coconut is available online as well (Read detailed experience here). Tender coconut is also available in powder form- just add water and consume. Many startups have been focusing on tender coconut door delivery etc. Best wishes to them. I found coconut in North India too- Jodhpur in particular- but in general very hard to find in most of north India. Found one even before I reached my hotel from airport. 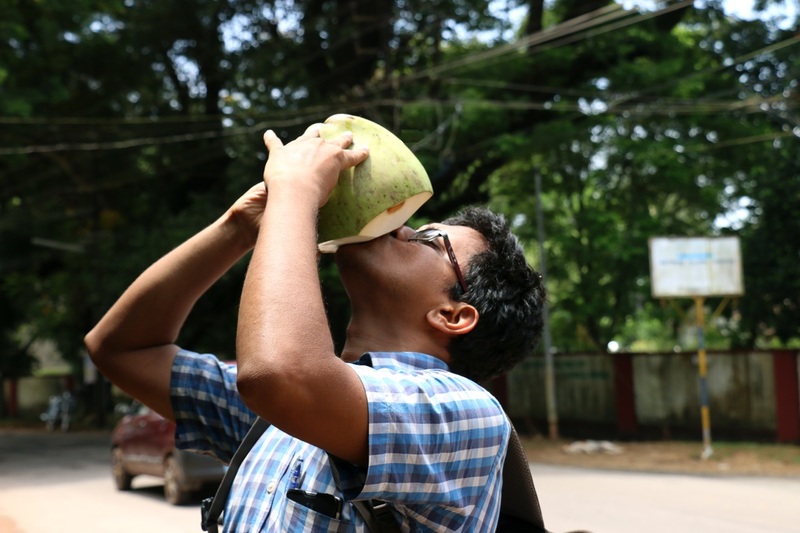 Stopped on the way at a local and drank a big coconut for 10000 Rupaiah. Next day, near Tanha Lot when I was quoted 15000 to 25000 IDR, I instantly knew they were trying to charge a premium because of tourist location. Managed to find smaller stores away from tourist spots and drink lots of tender coconut at reasonable prices. Taste was not as good as India ones-Few were tasting very bland but that’s the risk one has to take. No sure shot way to predict the taste. There is a coconut cafe in Ubud. Need to visit next time. Thailand has plenty of coconut supply- sold by the roadside like in India. They also export it to several countries around the world, partially chopped and wrapped well in plastic. I found Thai tender coconuts for sale in Macau, Australia and Singapore, price increased by 2-3 times. Thai vendors use spoon in most cases- I showed few vendors that they can chop a side of the coconut and use it as spoon. Taste is usually good. 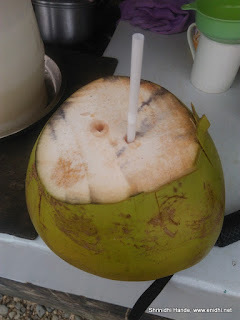 My 2012 post has more details on Thai tender coconuts. 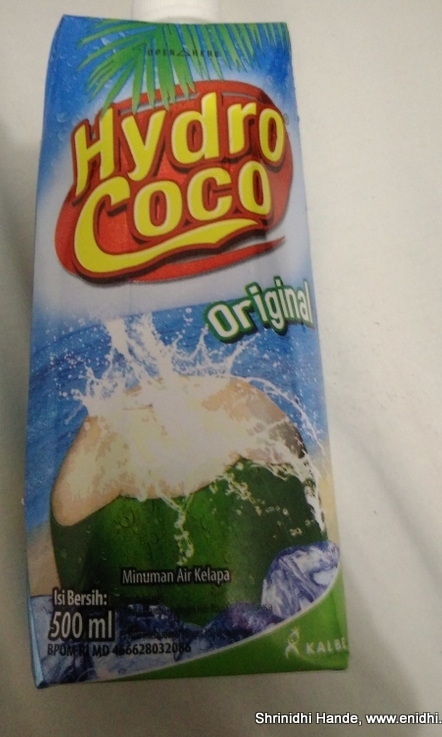 Also spotted coconut ice cream in Phi Phi island. No, that Scoopy is not rented by me. I wasn't expecting to find coconut in Macau, but I did. A supermarket in Taipa was selling coconuts, but only as a takeaway, for around 22 MOP (INR 200 approx). I didn't have any sickle to cut it open so couldn't buy that. These coconuts were imported from Thailand. Malaysia like Thailand has good supply of tender coconut. Little difficult to find one in heart of KL city, but available easily near most tourist spots like Batu caves, Melaka etc. I was smitten by this snowball version. Watch video below, details here. 11. Vietnam: At a village 200kms from Saigon, found nice tender coconuts for just 10000 VND. In cities, price is about 250000 to 30000 VND. Taste fairly similar to Thailand ones. 12. 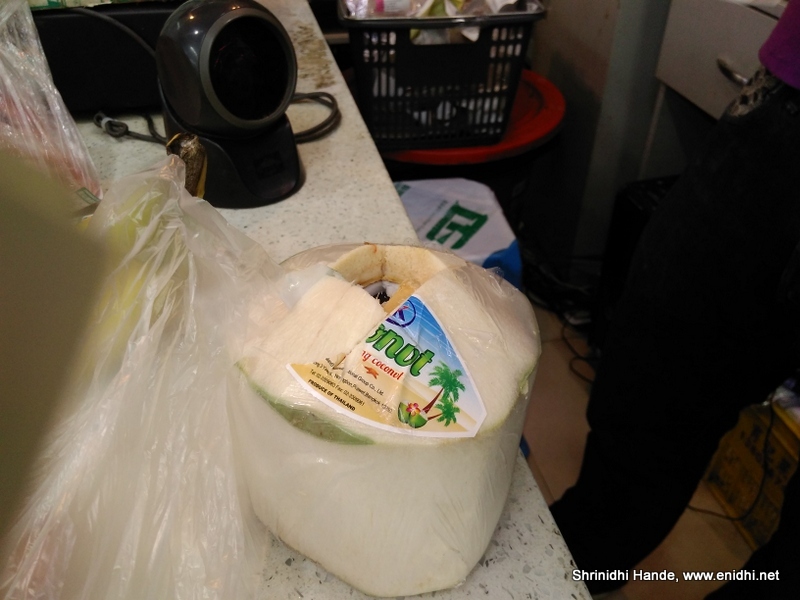 UAE: Some supermarkets in Dubai were selling fresh tender coconut for AED 5.95. At tourist places the price quoted is as high as 20 AED. Tender coconut water was also available in bottles and tin cans for around 3 AED for 500 ML. So Dubai didn't disappoint me w.r.t tender coconuts. 15. Brunei; Seems locally grown, similar to ones found in Indonesia and Philippines. Retails about 2 BND. Very good. 16. Nepal: Available in select shops- not easy to find- in Kathmandu and Pokhara- one in Pokhara was better quality and cheaper. 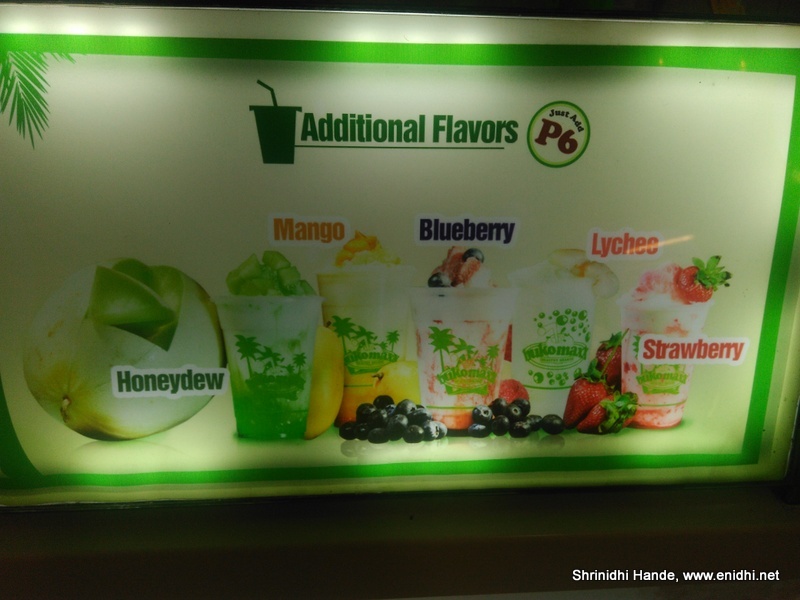 All are imported from India and sold for 1.5-2x the price. 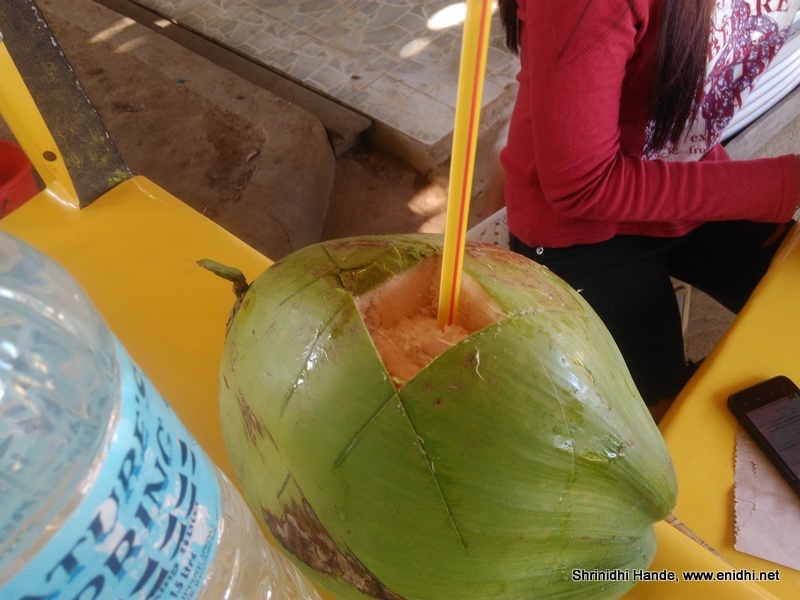 In Thailand and in some part of Philippines standard practice is to make four incision in square shape to gain entry to the core and drink using a straw. In India, Srilanka, Malaysia, Maldives standard practice is to chop off the top portion till water is accessible. If the vendor is not careful enough, some water spills out in this process. However I also saw in Palawan that few vendors quickly drill a hole good enough to insert a straw and serve it. 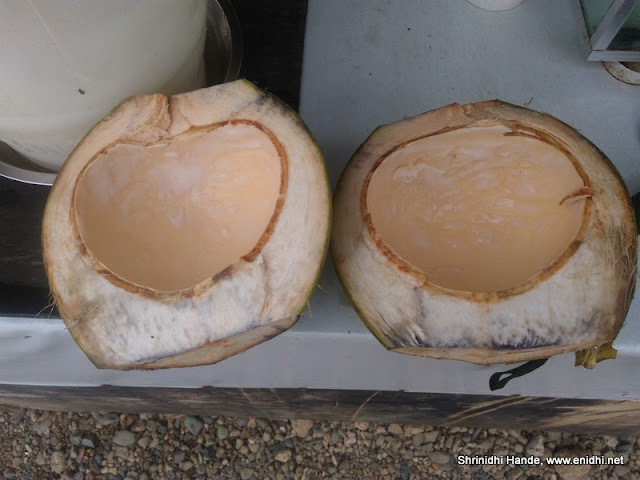 We also have devices that can drill a hole into tender coconut- read my 9 year old post on that- but it usually works on really really tender coconuts and not ripe ones. Only roadside vendors are very comfortable to cut the coconut in half and let you eat the inside meat. Most malls and supermarkets that sell coconut are not equipped to serve you the inside. After paying massive 6.5 AUD (INR 350) in a Melbourne mall, I had to discard the coconut shell without eating the inside contents. In many other parts of the world a large size coconut may have really small shell inside and a smaller looking one may have much more water. Very hard to predict. 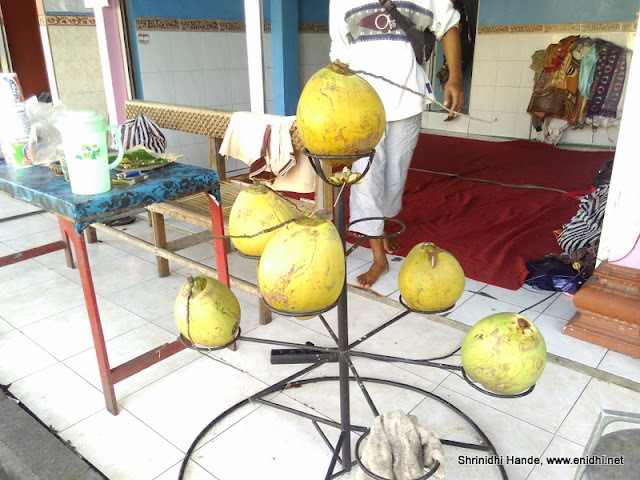 Indian vendors have good way of attaching two coconuts together. I haven't tried taking coconut as parcel abroad, so not very familiar how clever they are in tying a knot between two coconuts and enabling easy transport. 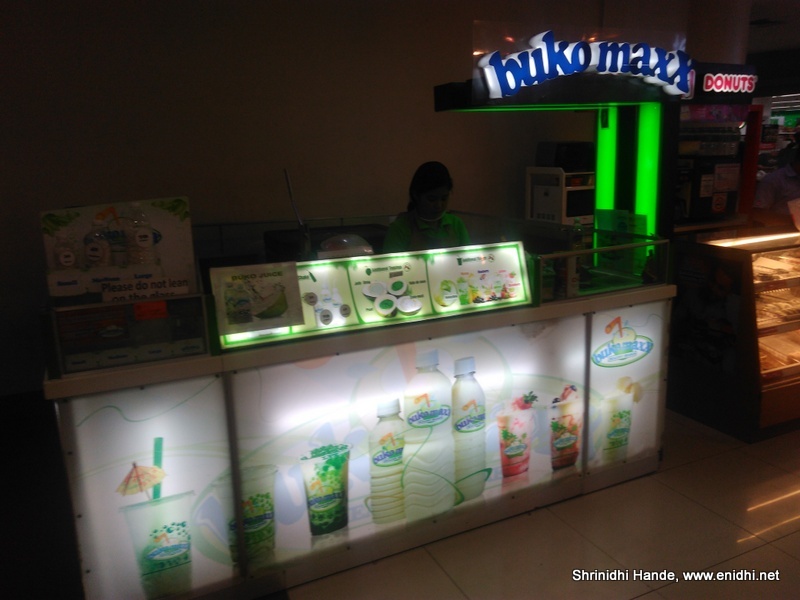 Many shops in Thailand and Malaysia maintain a few inside refrigerator/cooler. Worldwide people are realizing health benefits of coconut and it is gaining its due importance. Its advantages are many and undisputed. Do share your thoughts and comments. Good Morning Shrinidhi. AS usual, perfectly well researched post about Tender Coconuts. And We do hope for a post about Health benefits of Tender coconut water + Malai ( meat is such a umm word for us vegetarians ) . 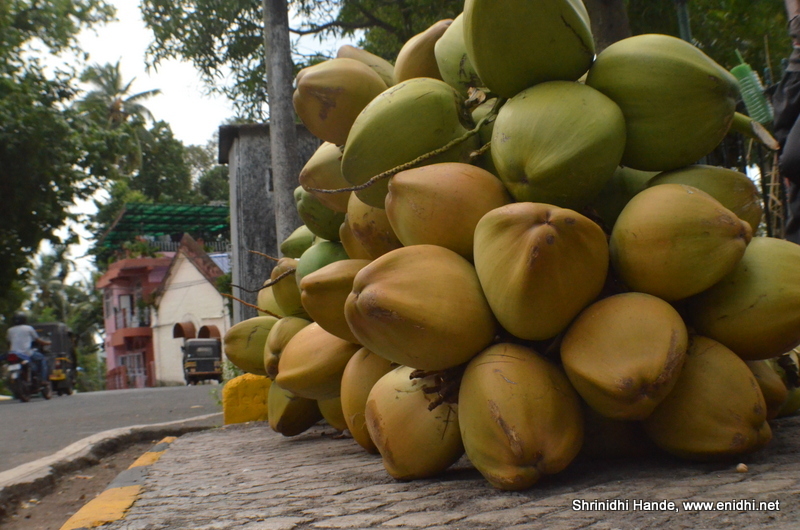 We would like to read how / when / why you crave for tender coconuts and how freshened / rejuvenated you feel after drinking the Elixir. Confession : I too love Tender coconut. Thanks Sujatha for your comments, support and the revelation! In the USA, one can find tender coconuts in Florida and Hawaii. Maybe a few other states as well. You do have a tender spot for tender coconuts ! You have great In depth details of tender coconut, i am not sure about your visit to Cambodia. In my view cambodia tender coconuts are too good in terms of taste&size. Price is very decent . I am sure if you try Cambodia's tender coconut, you will be keep visiting again and again only for tender coconuts nothing else. That was a jolly good article. This was a fun post. Flavored coconut water....and a shop for the same. Interesting stuff! @Dhananjay- Cambodia is on the cards, next year. I will go to Burma some day! Hi, among all the places that you have visited, which(where) is the most tastiest coconut that you have ever tasted ? Ones in Thailand are good- pretty standard taste and consistent. Coconuts in India are good too, but often depends on our luck- sometimes OK, sometimes good, sometimes bad. 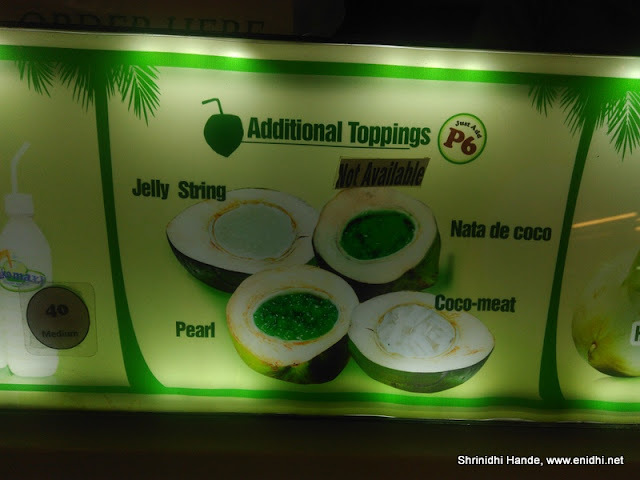 Very informative post.Is there any one making and trading tender coconut snow ball in India?